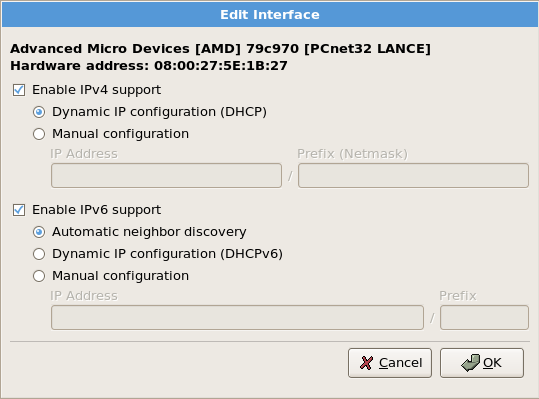 If you do not have a network device, this screen does not appear during your installation and you should advance to Section 4.22, “Time Zone Configuration”. 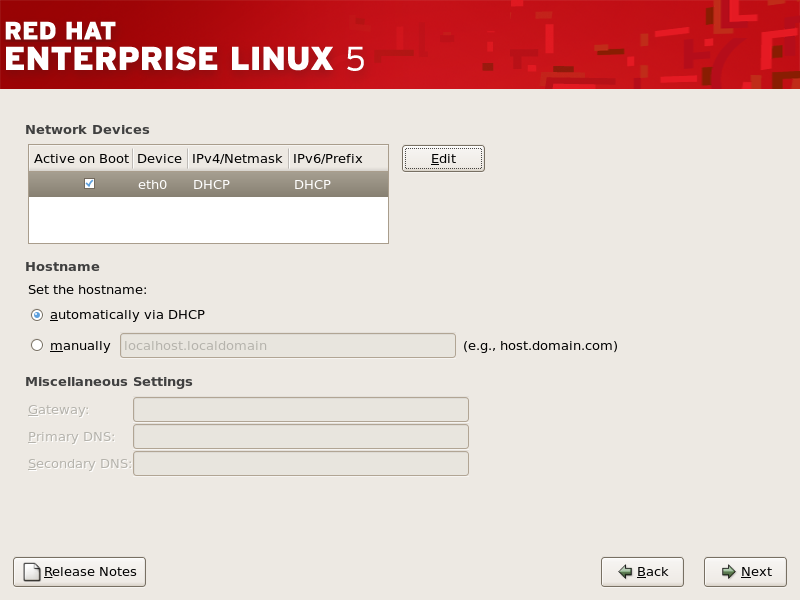 Even if your computer is not part of a network, you can enter a hostname for your system. If you do not take this opportunity to enter a name, your system will be known as localhost.